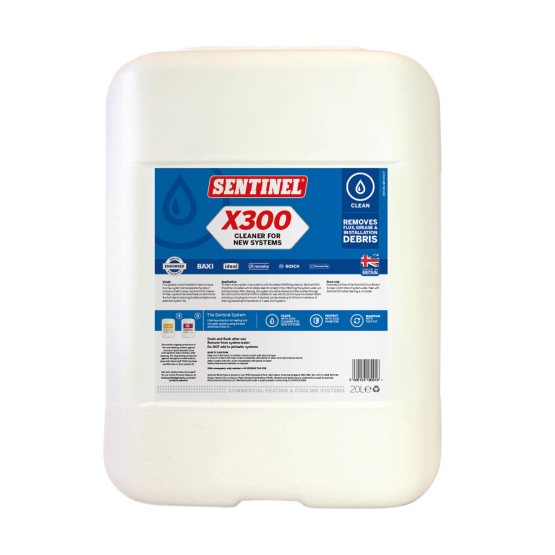 Specifically designed for cleaning new central heating systems, Sentinel X300 Cleaner for New Systems is a powerful, heavy-duty cleaner for the removal of installation debris and grease. This prepares the system for the addition of an inhibitor, which will protect the system components and prolong their effective life. Contamination of a new central heating system is common, with metal swarf, grits and sands, and excessive flux being introduced during the installation process. In addition to this, layers of grease or oil will be present on new components such as on the internal faces of radiators. The presence of this debris and these residues inside the system can lead to rapid pin-hole corrosion of the radiators. Best practice, derived from documentation such as the UK Building Regulations Part L Domestic Heating Compliance Guide, is that a central heating system should be thoroughly cleaned and flushed out before the installation of the new boiler. We advise that systems should be cleaned in accordance with BS 7593. 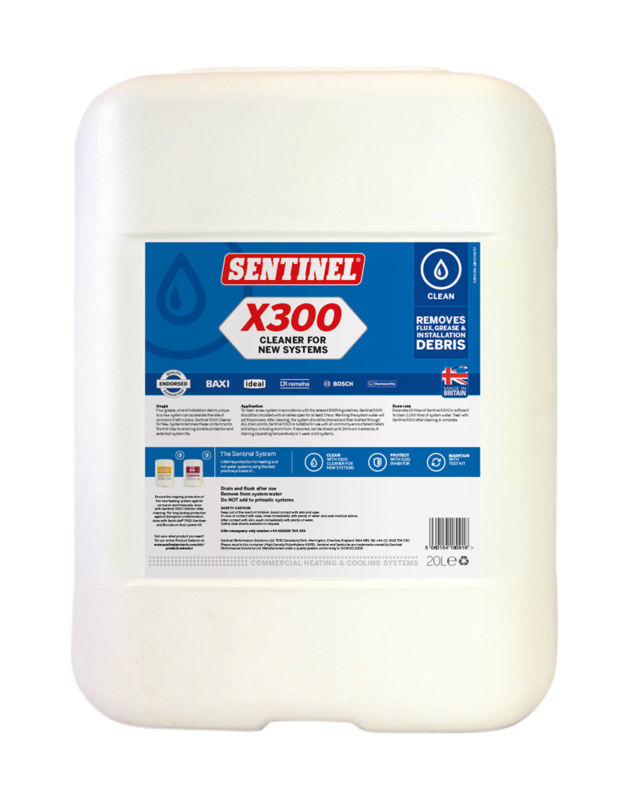 1 litre of Sentinel X300 Cleaner for New Systems is sufficient to treat a typical domestic system of up to 10 radiators. If the system is new, this should be at the time it is first filled. 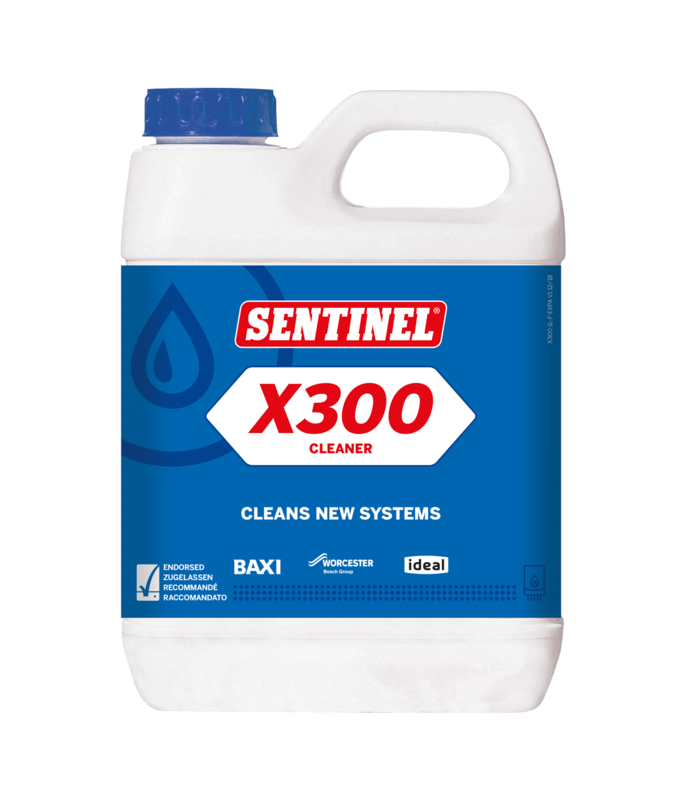 Sentinel X300 Cleaner for New Systems should be circulated with all valves open for a minimum period of one hour. Warming the water will aid the process. Can Sentinel X300 Cleaner for New Systems be used in systems with aluminium components? Can Sentinel X300 Cleaner for New Systems be used in systems with plastic pipework? Do you need to remove Sentinel X300 Cleaner for New Systems from the system? How do I get Sentinel X300 Cleaner for New Systems into a system? How does Sentinel X300 Cleaner for New Systems work? What are the next steps after using Sentinel X300 Cleaner for New Systems? What is the dosage rate of Sentinel X300 Cleaner for New Systems? 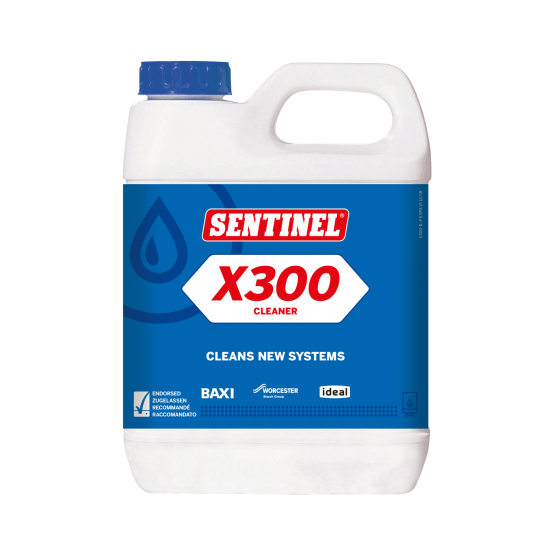 What problem does Sentinel X300 Cleaner for New Systems address?